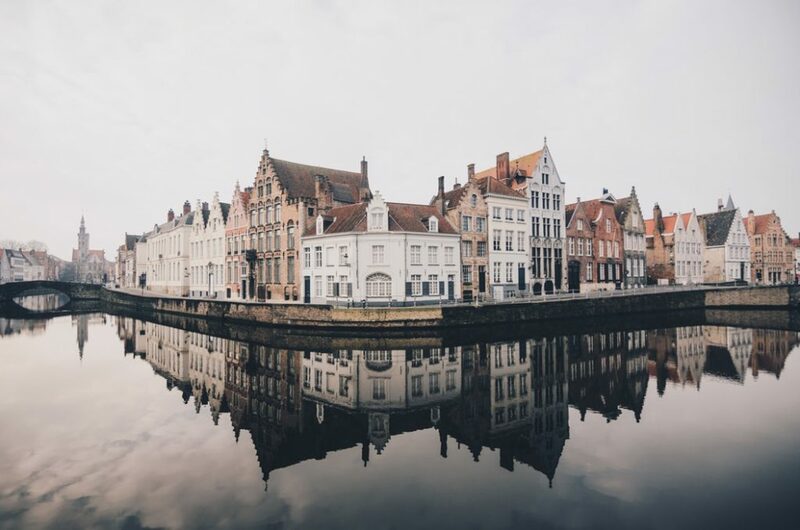 The end of summer in the northern hemisphere marks the start of one of the best seasons to travel. It’s back-to-school season which means less crowds at many touristic destinations and temperatures are milder than in the hot summer months. 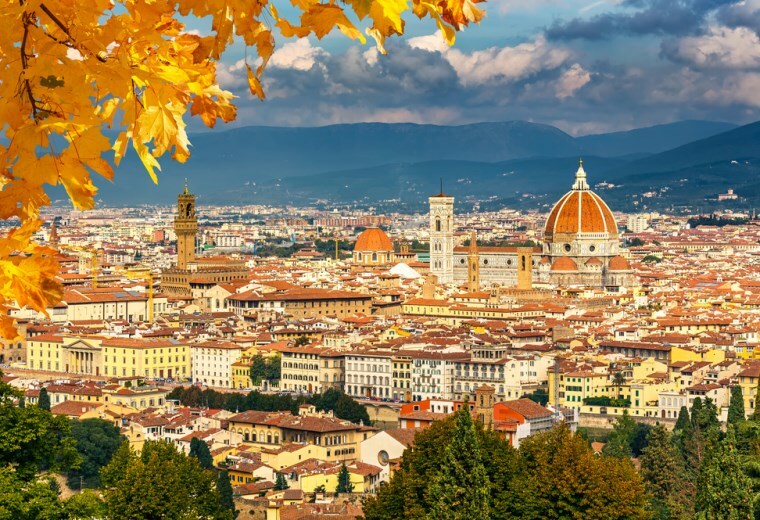 Whether you’re looking for a mountain escape, a city break or a beach holiday, we’ve got you covered with the best places to travel during September, October and November! The best wildlife viewing months in the Masai Mara in Kenya and Serengeti in Tanzania are during the dry season from late June to October. Spoil yourself at the luxury Four Seasons Safari Lodge Serengeti. 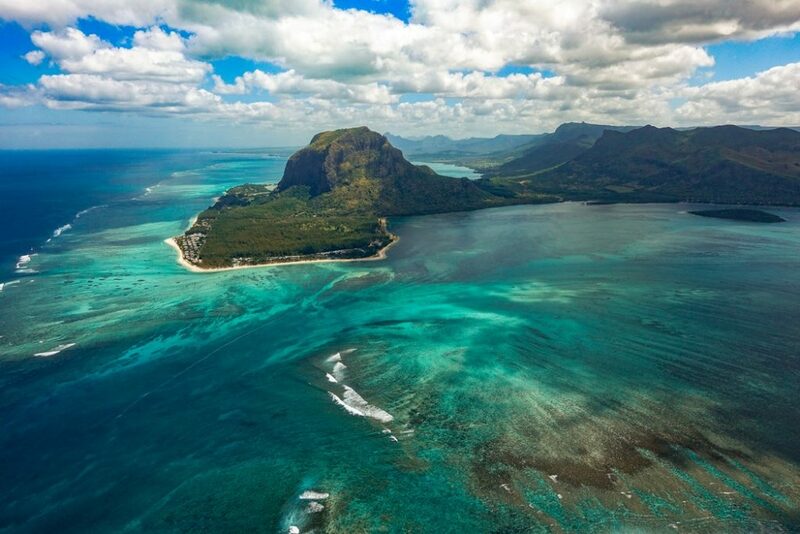 Le Morne Brabant, a peninsula at the extreme southwestern tip of Mauritius. Why not head to one of Southern Europe’s islands which are much calmer now and still have warm temperatures. The Balearic Islands and Sicily are very sunny, even in autumn, and receive less visitors than in the busy summer months. Enjoy our beautiful island, Menorca, without the crowds at the incredible Agroturismo Son Vives. 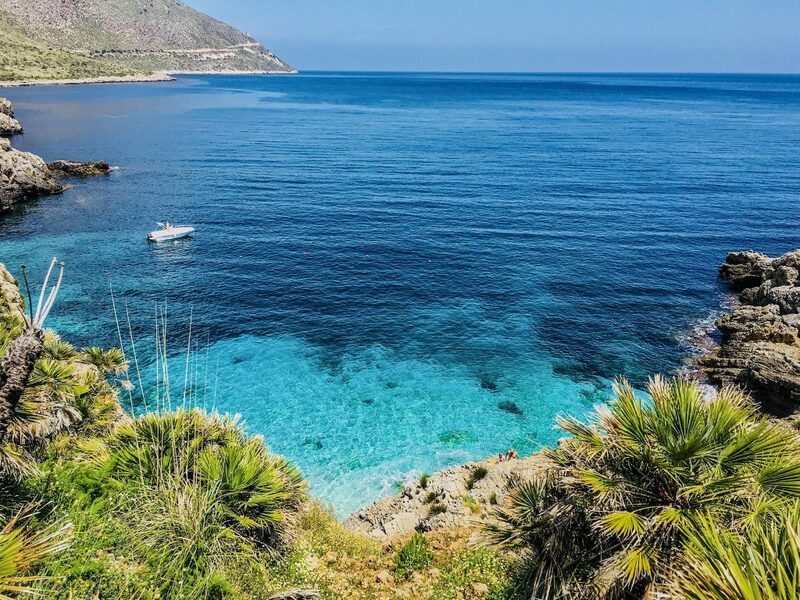 The coast line at Zingaro National Reserve in northwest Sicily. Get a car in San Francisco and head to Napa Valley. This is a great time to visit California’s wine regions during grape harvest time. Autumn across Napa Valley, California. The monsoon season is coming to an end although it’s still not the best period to travel to Asia. China and Japan start to cool down pleasantly. The north east of China for example is very attractive in autumn. Autumn view of the Great Wall, China. Get your chance to win a free stay (Sep, 4-8) at a custom-designed house on the Great Wall of China via this Airbnb contest. As of late September, weather is clear and dry in India. The monsoon rains have washed away the pollution and dust and the mountains have a high visibility now, ideal for trekking. While the southern states of Australia are cold, Darwin in North Australia is getting warm with pleasant temperatures that are more enjoyable than other, hotter months in the year. 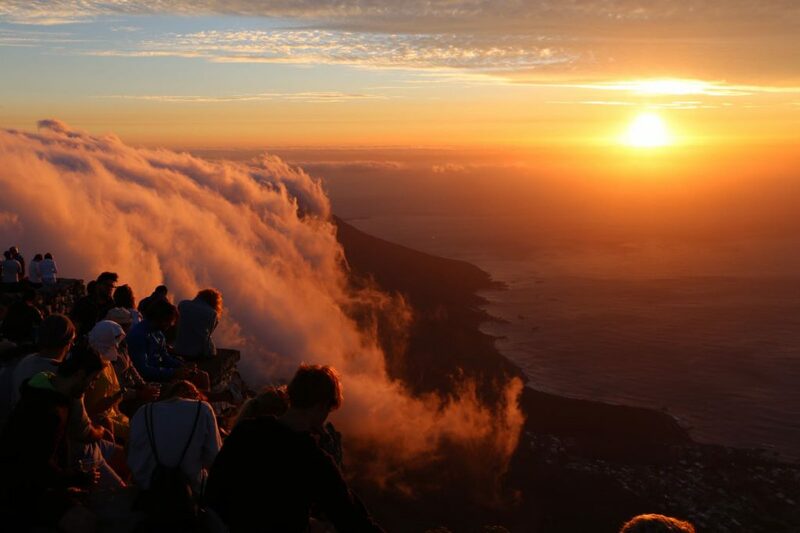 Sunset at Table Mountain, Cape Town. Tip: Stay at this gorgeous glamping site in Mirano, for a relaxing experience with easy access into the hustle of Venice. Chile is a very extensive country so weathers varies according to the area but October to March is a good time to travel to Patagonia in the south of Chile. 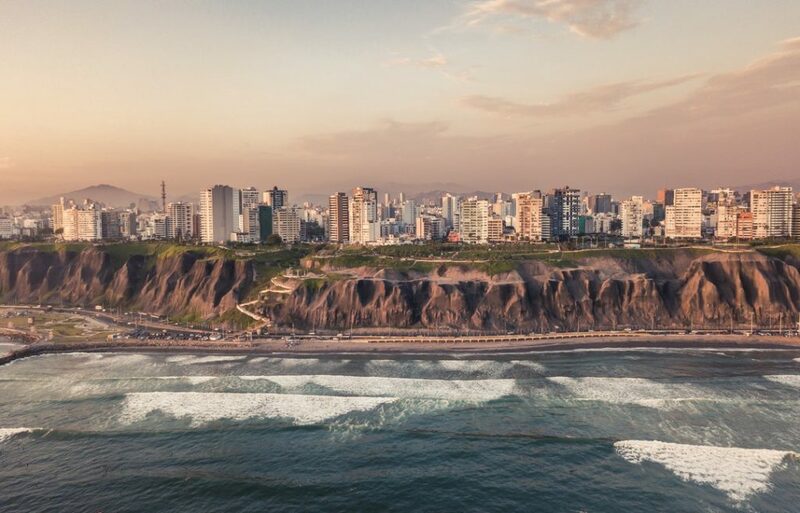 You should definitely combine it with a visit to Santiago and the Atacama desert in this month. 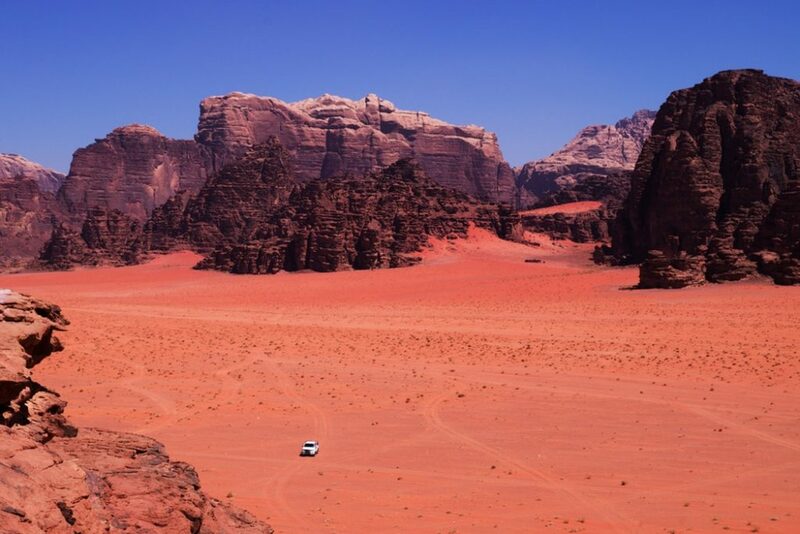 Wadi Rum protected area in southern Jordan. Between October and December is the best time to visit Nepal as the skies are generally clear and the views are spectacular. Stay at the stunning Baber Mahal Villas to start or end your trip in Kathmandu. 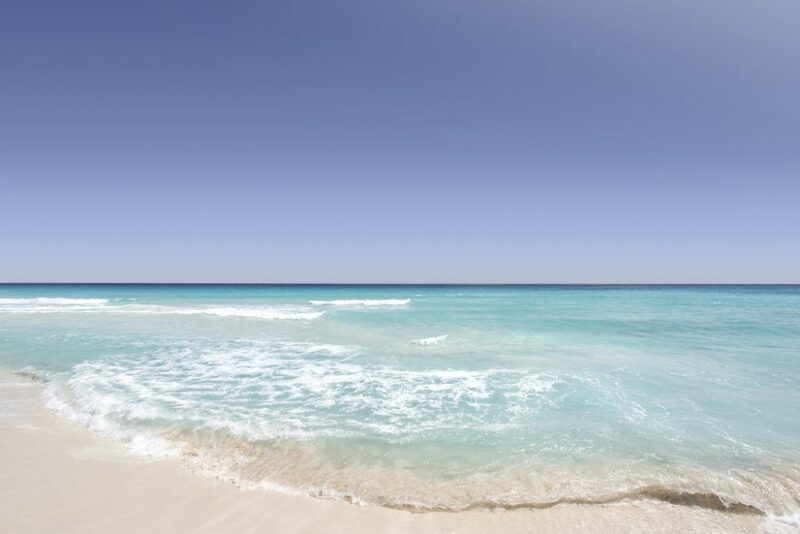 White sand beach at Cancún, Riviera Maya, Mexico. November is probably the best month for trekking in the Himalayas in Nepal: it’s not too hot, the sky is clear enough to see where you’re going and the peaks and high passes are clear enough for trekking. Stay at the stunning Baber Mahal Villas in Kathmandu right before or after your trek. 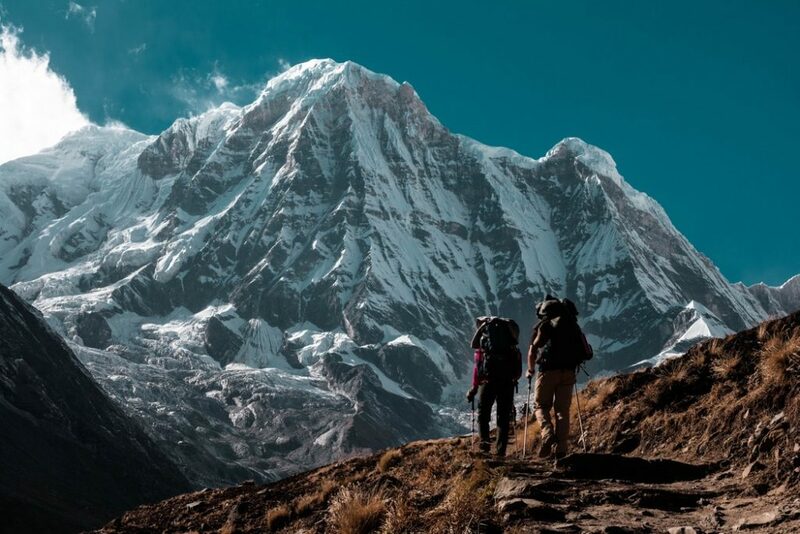 Trekking to the base of the Mount Annapurna, Nepal. Autumn is great to visit Hong Kong too: nice breeze and a perfect amount of sunshine. Contact us for a tailor-made travel itinerary! Our Personal Travel Planners will assist you with their expertise and will create you a customized trip!